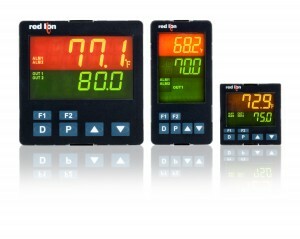 integral-derivative (PID) controllers. The PXU series, which is the latest addition to Red Lion’s portfolio of industrial automation solutions, is designed for machine builders, systems integrators and commercial equipment manufacturers. The PXU series is reported to enable tighter, more reliable control over a wide range of processes, including temperature, flow and pressure, from a single model. Capable of being deployed in precision process applications within the food and beverage, plastics, packaging, energy, gas, heat-treating, commercial and medical industries, the PXU series offers 1/16, 1/8 and 1/4 DIN size models to provide a range of space-saving options.